Your support & feedback sustain this project. I feel like I’ve been listening to “Zoo” my whole life. I love it and it makes me feel good about myself and so much more relaxed than usual. Thank-you for the wonderful music. I noticed that I always save listening to Halcyon for very special occasion of true serenity, since 10 years ago. It has something very special at the heart of its sound. Dear Sebastian! Thank you for the “Zoo” – I listened to it hundred times and will listen another thousands. It resonates with my soul somehow, difficult to explain. This album is like a good old friend to me. Thank you. Zoo, Infinite Lives & Detour will be reborn on the new turn of the evolutional spiral, I believe it! Zoo, Infinite Lives & Detour are just splendid! That’s why these aren’t enough, pleasr, if you just kindly would finf it in your heart to develop on that magnificient sound again!.. Just re-listened to “Zoo” and remembered what wonderful music Workbench is. It is such pure joy to listen to your music! Each release such a perfect soundscape to daydream and relax. Art at its finest, thank you! Wonderful music!!! All tracks are amazing!!! Thanx from France. ……………….Moved my soul and touched deeply……………. Spellbound and taken aback by Goldfish album. Many thanks from the Abyss of my Heart. What excellent music this is, Sebastian! “Dreaming of the South Seas” in particular is such a hauntingly beautiful piece. Mind if I tell a story? When I was 12 (or so) I was exposed to Vangelis’s Chung Kuo via a car commercial. At the time I had not a care in the world—just a happy child full of innocence and wonder. When I hear that music today I am overcome with a rush of emotion. It’s almost as if in my mind I’m transported back to that carefree time. In some ways I guess you could say I’ve spent the rest of my life looking for music that will have a similar impact. Your music does so. The images in my mind these songs evoke are sublime. Thank you so much for creating it and so generously sharing it with us. Worth the wait – simply beautiful Sebastien! Music you can close your eyes and just drift off to. Beautiful as always… It’s as if you’ve pulled the purest essence of my soul and put it to music. Something about your music has a way of providing a common thread of life within all that hear and feel it. Thank you. Great news hearing about the release of “Goldfish” today.Your previous release “Synesthesia” is a masterpiece, and this one sounds just as good. I wait for “Goldfish” so long… It’s AMAZING!!! Love so much of your music. Please make more! Come back please… where are you ? Your music has been a blessing in my life. Thank you for sharing your talent! Deep, inspiring, soulful, and fun to listen to. I get to your site every day to check if the new album is there! I’m really enjoying the Synthesia album; I was first attracted to your work with the Serpents track off Zoo. Thank you for offering your albums here on your site! Great music to write and design to. Keep up the good work. You have made some of my favorite ambient / chilled music of all time and I hope many people have the opportunity to enjoy your compositions for years to come. Looking forward to any future releases! Nicely done website as well, by the way. Just donated $5. Your music is really great. Helps me relax and focus while I’m programming. Infinite Lives is my favourite! Great news about new album about to be released! I’ll buy it right away! Taken aback by this spellbound artist. Splendiferous & Resplendent, my words are finite to describe this artist. All songs are like Diamond. Waiting desperately for New one. Let the inspiration be with you! I have just made the discovery of your music Sebastien, and I’ve marked the day in my diary as a special one. It is aural honey, and it’s like Christmas has come early. Absolutely, indescribably beautiful. I am immersing myself in all your albums and will wait patiently for Goldfish. As a motion designer myself, I see you also have a huge talent for visuals as well – this website is gorgeous. I’d love to collaborate with you one day on a visual piece or two that does justice to your music. Stay well and wonderfully creative, Cheers, Gary. Beautiful music… have been listening to your music for years now and it’s always amazing – it’s the soundtrack to a lot of my life! Can’t wait for the new release. All releases are very good. Synesthesia album is wonderful!!! Can’t wait for Goldfish! On the other hand, I wouldn’t hurry you as I’d like your new album be as polished as it’s possible. Sincere thanks for your music! I have been listening to this and similar genres of music for over thirty years , through the advances and evolution in styles and electronics. Some artists have been around for the duration , some have come and gone. I can only hope you continue sharing your art with the world for the rest of my days on earth. Definitely in my top ten of all time , fantastic productions that carry the spirit to beautiful places. Discovered Workbench through an internet radio station. Now I can’t get enough. Beautiful, beautiful stuff. I think my favorite track so far is “Yellow”, off Synesthesia. Hello from Qatar – I’ve been looking for music that affected as much as Enigma Chapter 1 did. I can safely say that your work has done that for me. Ambient and sharp without being too New Age. Good work Sir and I look forward to more. I was enslaved by “Zoo” for a long time. Fantastically pacifying beautiful album. Thanks for your magic music. “Halcyon” as well as was spoken by many is simply magnificent. We demand opportunity to buy albums on this site in FLAC !!! Just discovered Workbench today thanks to DI.FM. Listened to a few tracks on YouTube and fell in love immediately. thanks for air cargo! it is amazing! Rus: Очень красивая музыка!!! давно искал подобную!!! Желаю творческих успехов, искренне за Вас надеюсь!!! Eng: Very beautiful music! was looking like! I wish you every success and sincerely hope for you! Merci, Sébastien! Les mots ne peuvent pas exprimer la reconnaissance que je sens pour ton talent. Merci d’avoir crée et partagé cette expérience sublime avec nous. Je n’arrête pas de rejouer Reflections (Satellite, 1998), envoûté par le rythme cardiaque et la pureté cristalline de la deuxième moitié. DI.fm, you’ve enriched my life by pouring Workbench Music into my ears. Thanks a lot for sharing your music! R E S P L E N D E N T is the only word………….S U P E R B.
I like your music. It’s terrific, fantastic, sensational! Thank you and give to us moreeee!!! Je l’attend avec impatience. Merci et bonne continuation. Unbelievable release. I’m eager to get my hands on your tracks and start mixing them. Hope to see the magic of Halcyon & City Lights shine on a new turn of the Workbench helix! Your music keeps me more optimistic in times of turmoil in Russia, thank you! Your music is great. Thanks for all the good moods it gave me. “Paper frog” is my favorite track, I’m listening to it right now. Keep up the good work, I hope to see your new albums soon! For longest time I’ve been looking for music that would put me into blissful state of trance. While my search is never ending, this is without a doubt the pinnacle of soulful creativity. Your compositions are so refreshingly simple and unpretentious, yet beneath there’s a roller coaster of emotions I can’t even begin to describe. Your music isn’t just music – every track is an amazing experience, a journey; one that I’m happy to return to again and again and again, and one that doesn’t loose any of it’s loveliness each time I travel it. Beautiful, beautiful …. came to this quiet by accident on Youtube … found so many talented composers (you are a standout)… we really only get to hear the horrible commercial stuff here in Perth Western Australia …. Magnificent music for hearing and soul. Thank you lots for your music, it made my days & weeks. Just an opinion – I pray to God that Goldfish will be less Synesthesia-like and more Detour-, Zoo-, Sattelite, Dream Of Silence etc – like)) Synesthesia is specific but I am craving more, more, more of your ‘trademark’ sound, especially Halcyon-like. ಸೆಬಾಸ್ಟಿಯನ್, ನಿಮ್ಮ ಸಂಗೀತ ಒಂದೇ ಶಬ್ದದಲ್ಲಿ ಹೇಳಬೇಕೆಂದರೆ, ಅದ್ಭುತ. ವರ್ಣಿಸಬೇಕೆಂದರೆ ಶಬ್ದಗಳೇ ಇಲ್ಲ. ನನಗೆ ಸಹ ಈ ಸಂಗೀತದ ಬಗ್ಗೆ ತಿಳಿದಿದ್ದು ಆಕಸ್ಮಿಕವಾಗಿ. ಅದು ಹೇಗೆ ಎಂದು ನನಗೂ ನೆನಪಿಲ್ಲ. ಆದರೆ ಈ ಸಂಗೀತದ ವೆಬ್ ಸೈಟಿನ ಬಗ್ಗೆ ನನಗೆ ಗೊತ್ತಾಗಿದ್ದು ಸಹ ದೇವರ ದಯೆಯೆಂದು ನಾನು ಭಾವಿಸುವೆ. Thanks very much for your work, it´s awesome the quality of your albums. Музыка моей мечты. Музыка моей гармонии. Words are finite. Great Great Great Band i’ve ever heard. Waiting 4 new one. Please go for all albums. Один из лучших амбиент/нью-эйдж композиторов. Спасибо! I first heard from your music in 2009, and thanks to it I have dreamt of new music horizons from that day. ‘Zoo (dusk)’ and ‘De la Terre a la Cime I & II’ were my favourites, and always I listen to your music I encounter new notes, more enjoyment, I feel alive. This is REALLY very great music!! Thanks for share your musical dreams with us! Уникальная музыка для души ! Браво! Workbench – это моя музыка! Thank you for having you in my life!!! You would deserve really a wider audience ! For me your last opus synesthesia is the album of the maturity : it is excellent from the first notes of indigo to the last ones of Green. Continue to enchant our ears ! Thank you for so many years, so many songs that are like a present for me. Your music has come along with me on some of the most important events in my life. Synesthesia is now embedded in my body & soul. I feel every beat & emotion which sends tingles up and down my spine. The most beautiful experience that music has ever given me. Thankyou. Absolutely stunning. Thank you Mr Marchal for turning the light on, in my heart. When all around me is dark, your music is a beacon of hope. You’ve just converted a new member to your congregation! You are blessed ………………………beautiful music, Thank you. Just completed my first listen of Synesthesia and I’m profoundly impressed. I’ve been listening to your music for many years, having discovered your pieces on the Kahvi netlabel and I think this is a new high point. Your music has touched my soul. Unpredictable, yet harmonious tones are forming a fairytale of the music-universe. Your wisdom shines through, just by the sound of how your music is composed. I hope you will keep making art within your genre, and inspire others who will want to follow. Being an amateur ambient musician myself, I cannot help but envy your talent unlike any other, not by mere magnitude but by the marvelous emotional impact it has on the innermost feelings one may experience. Seemingly simple, your music is actually profound indeed and, among your works, Halcyon is unconditionally the most complex and versatile one. Long live, Sébastien! Soit jeune éternellement! 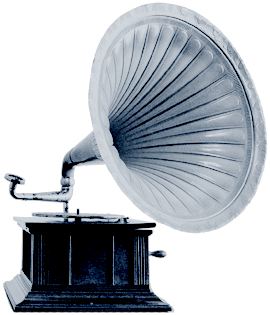 I have been listening to your music for years – CDs, iPod, PC, the car, wherever possible. Your music is simply captivating, mesmerizing, trance inducing, relaxing, etc. It is always wonderful to hear. Thank you. Great music man, but when are u gonna realese something new. have waited long time now!!! This music is absolutely fantastic. Keep up the great work! I can’t wait to hear what comes out next. The most beautiful and inspiring album I heard this year was Zoo. I’d like you to know how thankful I am for this work! Your music has been an important part of my life for several years now. I am very much looking forward to your next album! I heard your music streaming in my bedroom one night. The next night I owned your CD’s. Then I learnt you were an Amiga guy, and it all made sense ! Infinite Lives, the track, has influenced my life recently – it has taken on something more than just music. So thanks. I love that music! It’s beatifult ambient!!! Sébastien you are TALENT! Thank you for your excelent works! We are love you and your great music. Thanks for the time you spend into studio. Thanks for job. Your music is beatiful and people needs it. Excellent music. Excellent. Many unforgettable impressions. Big thank you. There aren’t many artists who can consistently craft beautiful chillout music, track after track: Cell, Aes Dana, Puff Dragon, maybe a handful of others. After hearing Cli, Bootstrap, and a dozen or so other incredible tunes from Workbench, I’d put his work among the very best without hesitation. Keep it coming! 1. beautiful music, brother – thank you. 2. lots of people have stumbled across your music bundled with other selections in p2p settings. carbon based lifeforms have a nice little donation button on their home page with the statement “If you downloaded our music on p2p or otherwise and still want to pay us, feel free to donate.” seems like a good idea. I’m a regular listener at DI.fm Chillout, and I must say, while it is a good station, there is only a handful of artists that truly stand out, and make you dig up the player window to see who’s the artist. For example Cell, S.Zeilenga, Xerxes, Marco Torrance, Aes Dana, AmBeam, and YOU. I’ve heard some of the songs from Infinite Lives there and was so enchanted by their beautiful, melancholic, happy, romantic vibes, that I just had to go by the album from ITunes. I like all titles on the album, but Infinite Lives is my favorite – I think it’s a masterpiece! Thank you very much for what you do, and please keep doing it. still wainting for real CDs, those mad of Polycarbonate. Beautiful mellow and so confident in production. Thank you so much – music one can relax into with the knowldge that it is there to support you. Great for journeying. You write the most beautiful music because it is who you are. I just have no words to describe the experience that I have when listening to your music ! I wish I had better command of the English language so I could properly express how much I love your music. The sounds you produce explore so many emotions it’s almost unreal for me to be able to hear exactly what I’m feeling. I actually get goosebumps sometimes while listening. I just heard your new album on DI.fm and just had to buy it. You really take electronic music to new levels and the result is perfection. Thank you for your beautiful music, and best wishes. Your music inspired me very often and made me visualize things that I before felt incapable of feeling.. In times of lonelyness, depression or just when I felt like calming down, you gave my imagination its wings back to fly away and find again the long lost will to live. Your music is just beautiful. Thank you. Please continue to produce your outstanding music. Yours is a unique, unparalleled style, capable of sentiment and genuine emotion. Soft composition wise, yet resonating with such depth. As soon as i first listened to you Infinite Lives EP i knew i was a fan. Top quality soundscapes. Your music is fantastic. Me and my family listen to it all the time, especially on those quiet evenings. I’ll be giving one or more of your albums to my dad for his birthday coming up. Addictive and euphoric.. the two words that come to mind when listening to Zoo. It wrote the soundtrack of my life for about 6 months following its inclusion on P9 Ambient Podcast! Keep it up! fantastic stuff as always. all the best for 2009. Another amazing cd. You have been blessed with the gift of making music. I love electronic music and Workbench is surely in my top10. Lounge, Sunflower, De la terre ŕ la cime, … new album Infinite lives… oh my god they are great:-) Listening to them almost everyday and never have enough. Thank you for your music, which is doing this world a better place. I listened to Halcyon on a chill set and after a search on the net… downloaded Zoo album and other tracks… woooowwww, I ended speechless ! Incrdible sounds, incredible imagination!!! This is what I call chill&ambient ! Keep that way ! Hi… just wanted to say thank you for your EP release on Kahvi. Fantastic work as usual. Why are you retiring the Workbench alias? Don’t know the other albums, but I feel Zoo tracks as truly inspired. Brings my awareness to a more silent, peaceful state of being. Thank you. Halcyon is the most beautiful song I have ever heard. i’ve downloaded your free albums from your web site and love them very much. i want to buy the “detour” album but i don’t have apaypal account and don’t want to get it from itunes. i wish there was another way to download your album with international credit card. i really want o get this album and i don’t know how. I LOVE YOU! Your music is simply transcendent, beautiful, sensuous, peaceful, meditative! It makes me want to pirouette on the moon and lie on my back on a cloudy day and watch the clouds gather for rain. Your music brings out so much in me: the poet, the lover and the muse. THANK YOU SO MUCH! I will support your music by purchasing your albums past present and future! I happened to need something which would help me concentrate on my work and got three of your albums froma colleague. Its some of the most beautiful and calming music I have listened to in all of my life. When ever I need to calm down and focus there is nothing that helps me more than Workbench.Thank You and keep up the great work. I can do my work to your melodies without feeling any interruption in my train of thought… That’s amazing. I stumbled on to your music on itunes, about a year ago. I must say I’m really impressed by the melodic landscapes you create. What’s even more impressive is that unlike a lot of Logic and Reason users you don’t use any multisampled pianos and strings. It seems you use exclusively use synths. I was browsing the internet one day for my usual picking of audio delights when I came across Paper Frogs. I was moved. This may sound cheesy but I truly was. If my soul could cry out into the void this song would be its echo. I became aware of ‘workbench’, due to a friend. Ever since then have loved workbench due to the fact that it isn’t overpowering nor too slow…great for when writing essays or doing other work. I first heard a couple of tracks on Shoutcast radio. I was instantly hooked and downloaded Detour. This was soon followed by Infinite Lives, Antistatic & Dream of Silence. (My comments appear as KL754 on iTunes). Your music stands head & shoulders above most things I’ve heard, bearing in mind I have some 75 Tangerine Dream albums. I also dabble in sequencing though I only use Fruityloops so I can to some degree appreciate the work involved. Thank you for giving me hours of musically pleasure. I’ve been a fan of your work since I heard Halcyon on S. Zeilinga’s chillout mix Ever Since the Day We Met . . . However, I have never been a fan of the iTunes store as the quality is fairly low. Is there a chance you’ll make your albums available for purchase on a site like audiojelly? What is the kbp/s rate of the tracks on this site? My compliments again on the music. It’s wonderful. Hello… I was just listening to Zoo and it give me the desire to know if you’ve made some new album. ce dernier album est épique, mais le dernier morceau est légendaire ! Et puis à ce moment la BOUM ça redémarre et c’est encore plus affolant que la première partie et ça continue.. et ça reste terrible ! j’aime vraiment beaucoup ce nouvel album. Mmais le dernier morceau… rhaaa ! Thank you Workbench for all the good music you have done and I wish you the best for your new projects! INFINITE LIVES is SOOOO BEAUTIFUL! Nice work! Great music, I had never heard of workbench-music before , today I was listning to di.fm and some crocodile tear touched my heardrum…. Now I’m very happy that I’ve found you guys. Amazing music !, listening to Three of ten on di.fm right now…great track ! but Halcyon is a favorite of mine. Keep up the good work ! Great music compositions and specially awesome sounds. I just listend to your infinity and enjoyed every bit of it. Thank you very much for the beautiful music, I happen to enjoy it a lot. It’s been a long time since I have had a great opportunity to listen to such a unique sound. Love your music. Thanks for your wonderful work. When I hear your music it makes me stop and think about life – and there are very few artists that can do that. Keep on making music, you inspire quite a few people. I really love the demo tracks from Vi! The chords in Track 1 reminds me of the work Jon Hallur did on the EVE-Online soundtrack, which was absolutely astounding. The electronic ambience in Track 2 is also immensely beautiful! It takes me back to the 8bit scene days, and I really hope that you pursue this style in more tracks on Vi! Thanks for all your great music! I am delighted to find your music today at CBC Radio 3. Your website is beautiful, and it fits this music. I have linked to your website and to your R3 playlist from my MySpace where I have a list of excellent online music sources. I also display my photographic art there. I’ve added two of your songs to my Soulwindows.com playlist at CBC R3, prominently placed. Just bought everything you have on offer. Your music is the most consistently wonderful listening experience out of every artist I hear on the chillout channel on di.fm, well done. Why have you not hit the mainstream yet? Hi Workbench, your latest addition to the “Zoo” album is absolutely brilliant. I really hope you keep producing such excellent pieces for many years to come! I recorded a couple of your pieces from ww.sky.fm (Halcyon) to name one and it was the truest emboiment of the type of music that I love. I had no idea that “there was more where that came from”. It always takes me to where I want to be especially after long stressful days and I hope I speak for all the true ambient music fans out there when I say thank you to God for blessing you with such a creative talent and thank YOU for putting it to use. Please keep on writing and composing. You’ll always have a listening ear. P.S. Crocodile Tears is simply beutiful. My heart want to say . . The people around me . .
How could you know what my heart beats want to say . .
And your piano is how I feel . . Hearing your music feel the same as I feel . How could you do so ? i listened your albums and they are very nice. Are you composing a new album? i listened you long ago……( i think remember that you used to K6/2 with a tracker ? PS: sorry for my english, it’s very poor. De La Terre a La Crime… beautiful. Big thanks for your music. It’s been a while since I bought Detour, and whenever I listen to it, Roundabout sparks something in my mind that I can’t quite put my finger on. It reminds me a lot of Robert Miles circa 2000. Such an excellent track on an equally excellent CD. You need to release another CD commercially, ’cause I feel like I’m ripping you off by having paid so little for such great music. I’ve downloaded, played, replayed again and again the album Zoo. I produce downtempo as a hobby, and I am humbled to hear such amazing music on Zoo. Chilling, beautiful music. Perfect for the late night, this album is magical, in large part, because it “stays with you” after listening to it….haunting in the best way possible. It’s been a long time and I suppose you’ve already forgotten about me. I’ve recently visited your page again and found that you’ve updated with Zoo – to which I’m listening right now. I’m absolutely stunned by it, I have to say. It’s even more beautiful that I had expected. Thank you for giving such beauty to us for free. Just listened to Zoo (dusk) on di.fm, and about to download the album. If it’s as good as that one track, …. Brilliant music, well done! So nice that something so good happens to be free. I have been looking for this kind of music for years and finally i found it. Thank you, you have done very good job. Zoo is really beutiful and well made to my ears. Thankyou! As with ALL of your compositions, it is TOP SHELF. EPILOGUE I is my favorite. I hope you’ll be able to keep up this fantastic work. Hello, listening to your B-sides. I reaaly lika what i hear, you are very good, atmospheric music, really original. My favo is “Metro” but i liked the other ones also (The opening, bunny tell) . keep up the good work. hi! I’ve just made little investigation after hearing your track on DI.fm, i’d like to start with greetings to you and work you’ve don’e so far. For now my ambitions exceed my talent but I’ll do my best to make music like you do. Can you tel me how to start, I do not want to go on public with my staf so i can use any software i’ll “find” on internet. Please tell me which software is good to know, wchih you are using?? Maby with this andmy little talent i’ll be able to make some nice chll music, I’ll send you if you want of course! greetings to you. great music to relax and study to.. it actually inspires me to do work. can’t wait for the next one. Just received my copy of Detour. Very good stuff. Well worth the purchase! I have purchased all of your albums and can’t wait for “album 5”. Listening to your music has become a nightly event for my wife and I. You will have a hard time topping “DETOUR”, but from the sounds of previews 1 and 2 you are going in the right direction. Thank you for the hours upon hours of entertainment you have given us. I have recently bought Detour and Antistatic. Your music is amazingly refreshing. Kudos! You’re a great inspiration to me right now. I’m just begining to get interested in digital music after four years of design work. You have a wonderful site here. As soon as I’m sure I can afford it, I’ll be buying several of your albums. A truly wonderful design. I find the style changing sheets in the top left corner especially amazing. I believe that I don’t have words for everything I like about it. I shall tell all my friends about it though, as you suggested. Amazing! Simply amazing! Every album is better than one before and detour is easy to listen to. Miss ya dude! “Detour” is 5 star. Absolutely amazing. Anyone who likes New Age should have this CD. D’album en album … J’ai suivis l’évolution de ta musique. Elle m’a accompagné durant mes longues heures (nuits) de travail et de détente. Ce dernier opus (Detour) marque une étape de plus dans l’évolution de ta créativité musicale, une étape que je savoure en attendant le prochain album. Je vois que tu as parcouru pas mal de chemin depuis Saint Laurent (informatique). Félicitation pour ta carrière musicale! Beau boulot, j’aime ce que tu fais, même si je suis un peu plus ambient/électro. Bonne chance pour la suite! I like your new site, can’t wait to listen to your new music! I came upon your music by accident a few years ago. So glad I did! Congratulations on your new site and welcome to Canada!